Positive side effects include initial bursts of energy in some users ("a CPAP high"), deep and restful sleep, improved mood, ability to focus and concentrate, improved work place performance and improved relationships with friends and loved ones. Negative side effects of CPAP reported by new users include: nose irritation, nasal congestion, headaches, bloating and continued tiredness after starting treatment ("sleep debt"). Each of these issues can be eliminated or moderated. Read the FAQs tab below to learn more about the side effect you wish to correct. How do I avoid red marks? Most red marks on the face are caused by over tightening the CPAP mask. CPAP masks should only be tightened down enough to create a seal. To avoid over tightening your mask, you should work clockwise around the mask, making small adjustments to the headgear, until the mask is securely in place but not overly tight. You should avoid pulling too much on one side of the mask than on the other. By cleaning your mask cushion, nasal pillows, and nasal prongs on a daily basis, you ensure a better seal each time you put on your mask. If you know you have a mask that fits, and are cleaning it daily, and still have red marks, consider using Mask Straps Pads which are soft covering for the headgear straps. CPAP does not normally cause headaches unless there is a sinus related problem or if the pressure is too high. 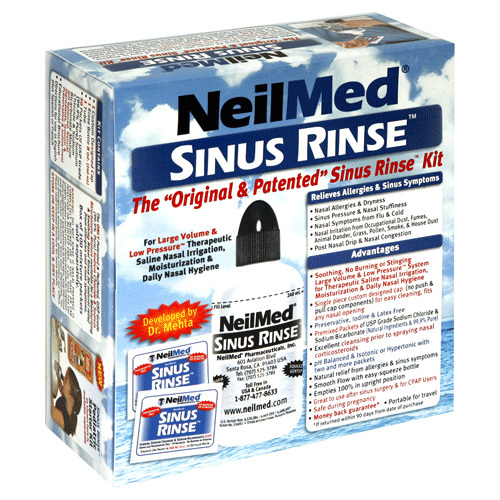 Sinus systems extend behind your ears. When a CPAP is used and part of the sinus cavities are blocked, a situation is created where there is a pressure differential between the sinus cavities affected. These pressure differences can sometimes be felt as sinus headaches or just plain headaches, even though they are caused by sinus blockages. These can be treated using over the counter medications to open the sinus. CPAP heated humidifiers can also open and maintain sinus systems. If you do not use a heated humidifier, we strongly suggest using one. If this does not correct the problem, visit your ENT. We also carry products that can help with sinus congestion. The primary reason nasal passages can become dry from CPAP use is lack of adequate humidification. CPAP air is an irritant - to one degree or another - to everyone. The irritation may cause the nasal passages to dry out and bleed, or the mucous membranes may try to protect the nasal passages by producing excess mucous, resulting in congestion. The irritation can be cumulative, developing over time. Furthermore, dry, cracked or bleeding nasal passages are a breeding ground for infection. Using a Heated Humidifier to add moisture to the CPAP air may reduce or eliminate the irritation. An unheated, Passover Humidifier may not offer enough additional moisture. If you are already using a heated humidifier, try turning it up to a higher setting. If that produces condensation in the six foot hose, you should try an Insulating Cover for the hose. You can also try using a Nose Lubricant to reduce the dryness. The primary reason nasal passages can dry out from CPAP use is lack of adequate humidification. Add a Heated Humidifier to add moisture to the CPAP air and reduce or eliminate the irritation. A passover humidifier may not offer enough moisture. If you are already using a heated humidifier, try turning it up to a higher setting. If that produces condensation in the six foot hose, you should try an Insulating Cover for the hose. You can also try using a Nose Lubricant to reduce the dryness. You can also try using a Sinus Rinse before going to bed and again once you wake in the morning to help clear your sinuses. What can I do for sinus and congestion relief? A lot of new CPAP users report having an increase in sinus congestion after starting CPAP therapy. When treating your obstructive sleep apnea, sinus congestion presents a roadblock to healthy breathing. CPAP air is an irritant - to one degree or another - to everyone. The irritation may cause the nasal passages to dry out and bleed, or the mucous membranes may try to protect the nasal passages by producing excess mucous and so congestion results. Wait and see if humidification adjustments help decrease the congestion. Visit your the ENT (ear nose and throat) doctor, and let them know you are on CPAP therapy. Try using a Sinus Rinse before going to bed and again once you wake in the morning to help clear your sinuses. As a general rule, those with obstructive sleep apnea should avoid using sedating medicines. Sedatives relax the muscles of the air passage even more and can effect your apneas. You should consult your doctor before using these types of medicines. Sores, redness and bumps around your nose can be caused by one of three main reasons: facial oils are building up under the mask material; the mask is overly tight; or the mask material is causing an allergic reaction. A breakout can occur from the facial oils building up under the mask at night. You can help minimize this by washing your face before putting on the mask at night and by cleaning the facial oils off the mask every morning. 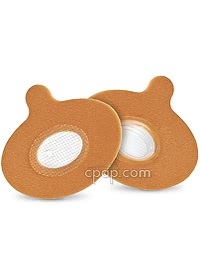 If you are still experiencing a breakout, you might consider Nasal Pillow Masks. The nasal pillow design has less material in direct contact with the skin. Sores at the bridge of the nose or below the nose are usually due to tightening the headgear straps too much. The pressure will create soreness, then a bruise, and may eventually create an open sore if left untreated. Your mask should seal when worn comfortably. If you have to over tighten your mask to get a good seal, consider switching to another mask type. To avoid over tightening your mask, you should work clockwise around the mask, making small adjustments to the headgear, until the headgear is securely in place but not overly tight. You should avoid pulling too much on one side of the mask than on the other. Most masks are made of silicone, which is an inert substance. But silicone is manufactured in chemicals to which some people are allergic. The chemicals normally degrade and disperse over time, but may cause a reaction when first used. The solution is to remove surface chemicals before using the mask. Washing the mask will reduce or eliminate the problem. This process can be accelerated by long soaks in warm soapy water. This method can be used with all types of masks, and should also be applied to mask replacement parts. While soaking the mask will help remove the surface chemicals, it my reduce the life of the silicone. If you use nasal pillows, try the smallest size available that seals around your nares. Your nose might also be sensitive to the presence of the nasal pillows, and it might take time for your nose to "toughen up" and adjust to the nasal pillows. Try switching back and forth between the nasal pillow mask and a nasal mask. You might also try Nose Lubricants to reduce the irritation. Nasal prongs must be inserted into the nostrils and seal tightly, so they may cause irritation or sores. It may be just a matter of your nose "toughening up" over time, so try switching back and forth between the nasal prong device and a nasal mask. If the sores do not heal, we suggest you discontinue using the nasal prongs. Sores inside the nose may also be caused by the CPAP air drying out the mucous membrane. Adding moisture with a Heated Humidifier may help alleviate the problem. Are there alternatives to CPAP therapy? Provent is an alternative treatment for Obstructive Sleep Apnea (OSA) that is FDA approved. Using a MicroValve placed just inside the nostril or nare and sealed with hypoallergenic adhesive, Provent uses the resistance created by the user to maintain the airway. A mask or machine is not needed to use Provent. The function of Provent is powered by the exhalation. Provent may be a solution for people who have been diagnosed with Sleep Apnea but have not successfully maintained CPAP therapy. Provent works using a patented MicroValve designed to create a pressure to maintain the airway during exhalation. No additional devices or electricity needed. Provent recommends using the step-up process of the 30 Day Starter Kit to kick off successful treatment. One Provent pouch weighs less than a standard wood pencil. It is discrete and portable. The word "phage" in Greek means "to eat." Aerophagia is literally to eat air. In the modern context, it means swallowing too much air, a common cause of gas in the stomach and belching. This is sometimes a result of CPAP Therapy. Unfortunately, the best solutions for this problem are not a catch all but instead an attempt to find the middle ground between needed CPAP pressures. Talk with your CPAP prescribing physician. The doctor may suggest decreasing the CPAP pressure in order to decrease the bloating. This decision would need to be made by your doctor to ensure you do not suffer from a constricted airway. Alternatively, your doctor may consider transitioning you to an auto-titrating machine. APAPs reduce the average pressure that the user receives. The pressure settings need to be set by the provider or sleep study, as the wrong pressure may make the situation much worse. As the chin of a CPAP user nears the chest, air has a greater chance of entering the digestive tract. When possible, try to lay in a position which allows the chin to remain above the torso. Change your normal pattern, and try a different sleeping position to keep air out of the stomach. Lay on the left side or rotate to the right side. Incline with pillows or lay flat. If these fail, It may be that you should consider a surgical alternative to CPAP. Many have tried all sorts of other solutions to this bloating problem with little success. Why do I wake up feeling bloated with air in my stomach and intestines? Bloating is a sign you are swallowing the CPAP air. There is no real medical solution, but we have found that your sleeping position may be a factor. First, try sleeping as flat as possible, even without a pillow. If the bloating persists, try sleeping on your side or elevated. The position must be different from your current posture. If changing your position doesn't resolve the problem, talk to your doctor about the possibility of lowering your pressure a bit. It may let a few apneas through, but the trade-off might be worth it. Headgear is usually tightened too much to reduce or eliminate air leaks. A small degree of this may be necessary, but too much is an indication that the mask is too large, too old, or the wrong style. If your mask is six to nine months old and the silicone is becoming too soft to hold a seal, try replacing it. Find the right replacement cushion for your mask using our Replacement Part Finder. How Can I Prevent Dry Mouth with CPAP? Dry mouth with CPAP machine use usually results from the mouth opening during sleep, and from subsequent breathing through the mouth. Breathing is meant to happen through the nose, where moisture is added and the air is warmed. The nose also removes impurities and some pathogens. Breathing through the mouth is intended only as a backup when the nose is not available. Some people may find it difficult to breathe through the nose during sleep, perhaps because of a cold or a condition such as a deviated septum. In cases like these, breathing through the mouth will take place. Without using humidification, the mouth and back of the throat will dry out very quickly during CPAP therapy. Humidifiers add moisture to the air breathed in through the CPAP machine, and work to reduce or eliminate the feelings of dry mouth that a person may feel during the night. Even if one doesn't breathe through the mouth, breathing through the nose can feel dry and scratchy with CPAP therapy. Using humidification can resolve these issues. If a person wants to stop mouth-breathing, one can turn to a chinstrap, a device forcing a person to breathe through the nose. This can allow for a full face mask user to switch to a nasal or a nasal pillow mask, and will also help reduce dryness at the back of the throat. Can a CPAP Machine Cause Sinus Problems? When using a nasal mask, sometimes sinus congestion can occur. This often happens from not using a heated humidifier as a part of the usual therapy routine. Heated humidifiers add moisture back into the air during therapy, causing less irritation to the nose as a normal part of therapy. Less irritation means less mucus is produced in response to irritation, and less mucus means less congestion. Irritation can get worse over time, creating somewhat of a cumulative effect, and can seem difficult to stop. For additional products that are able to help heal sinus discomfort, try some of the following products geared to stop sinus congestion. Setting a CPAP machine at a pressure that is too high can be dangerous, which is why we recommend being under the care of a physician while using one. If a pressure setting is too high, it can not only be counter-productive to a person's therapy, but it can also be detrimental to a person's health. When a CPAP machine is set at the right pressure for therapy, it can be very helpful and beneficial to individuals that use it. Worried the CPAP mask could cause suffocation in the event of a power outage? Don't be. All CPAP masks are designed to vent carbon dioxide, making it possible to breathe, even with the mask on. Even if the CPAP machine isn't running, there's almost no chance of suffocation or death from wearing a CPAP mask. Studies show that it can. Sleep helps regulate the hormones that control hunger, and poor sleep can lead to a person feeling hungrier during the day than they otherwise would. This can lead to weight gain. Weight gain worsens Sleep Apnea symptoms by adding more tissue to the throat and airway, and can lead to a larger tongue. The presence of additional tissue in the airway makes it harder to breathe at night, thus worsening Sleep Apnea. Can Sleep Apnea Lead to Memory Loss? Yes, in addition to cardiac consequences from Sleep Apnea, Sleep Apnea also has neurological impacts. Most people notice brain fog as one of the first symptoms of Sleep Apnea. A person may feel spacey, have difficulties concentrating or focusing on certain tasks, and have ADD-like symptoms. These are some of the most noticeable symptoms of Sleep Apnea and they're ones causing sufferers some of the biggest difficulties. In addition to brain fog, recent studies have connected Sleep Apnea to dementia. It's suspected sleep helps the brain remove harmful plaques in a "trash collection" type of automatic function. Over time, these plaques build up, leading sometimes to dementia. How does one get rid of the plaques? It's easy. Give the brain time to do its job! By falling asleep and staying asleep, not only can a person get more energy, one can also give the brain a chance to rid itself of the harmful plaques linked to causing dementia. Getting a full night's sleep starts with treating Sleep Apnea. 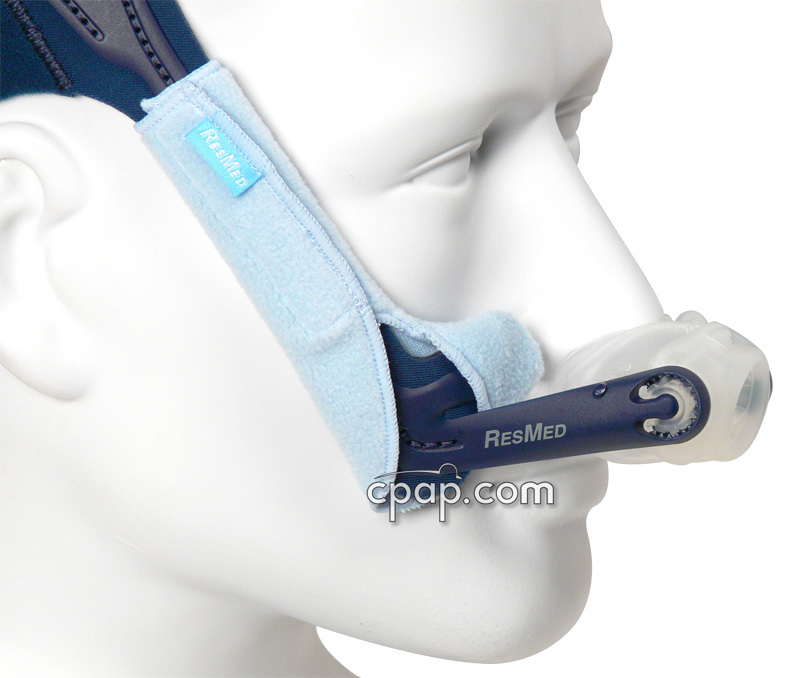 One of the best ways a person can treat Sleep Apnea is careful adherence to CPAP therapy. CPAP therapy helps create a better night's sleep overall and has benefits beyond reducing brain fog. 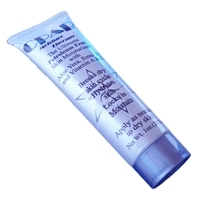 Try our CPAP Moisture Therapy Cream for skin irritation caused by silicone. If you hate germs, you should try our Breathe-free Hypoallergenic CPAP Pillow with Pillowcase or In-line Outlet Bacteria Filter. Rainout is when condensation forms in your hose. It can be minimized by using a heated hose or a tubing wrap found on our hose comfort page. If you are waking up with red marks, visit our page on Skin Irritation Products to view padded mask straps and mask liners intended to prevent sores and pressure marks. Sleep Apnea, Depression Linked in Stanford Study.